Grimas Watersoluble Mastix is a skin glue that can be removed with water. Watersoluble Mastix is used for gluing Wool Crepe beards and moustaches for children whereby it should absolutely not be used near or above the eyes. Mastix Watersoluble is intended to be used for the above applications. 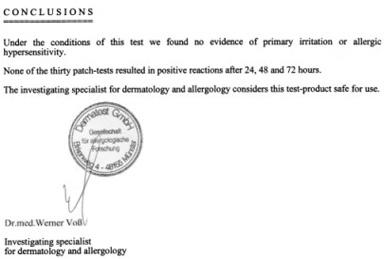 If you want to use Mastix Watersoluble for other applications (such as gluing other materials onto the skin), we can not guarantee safe use and it is your own responsibility to test the intended use first. Water-soluble Mastix is available in a 10 ml bottle and a 100 ml flask, each of which comes with an applicator brush. Contains Ethanol, known to be toxic and harmful to the unborn baby. Improper use: Use on a limited area of the skin. Dermatology: Frequent removal may dehydrate the skin. Take care of the skin after use. Use on children: Can be used for children. Absolutely do not use near or above the eyes. Around the eyes: Do not use near the eyes. On the mucous membranes: Do not use on the mucous membranes. Make-up in the eyes: Can cause serious damage to the eyes. Rinse at length with water, remove contact lenses and consult an ophthalmologist. Storage: Close packaging properly. Store in a dry, dark place. Ethanol is a fire hazard. Do not use near open flame. With aid of the applicator brush you spread Water-soluble Mastix over the skin area where something is to be glued on. Note Water-soluble Mastix can lose adhesion due to perspiration. Absolutely do not use on children near or above the eyes. Water-soluble Mastix can be removed simply with lukewarm water.